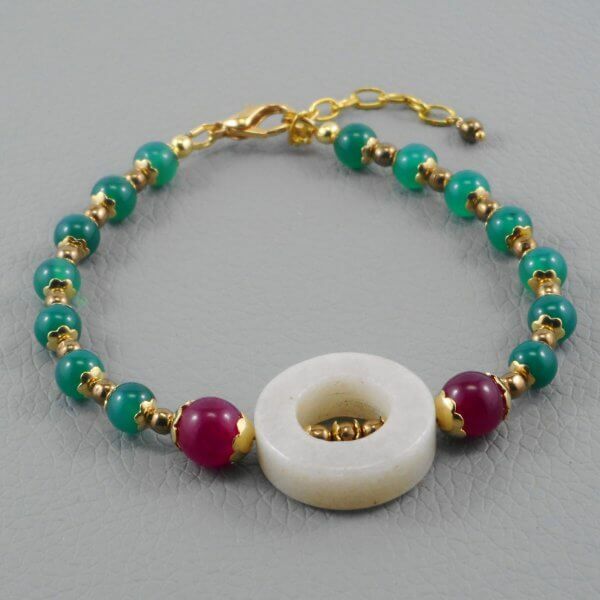 White Aventurine may help alleviate anxiety and fear. It is said to help one to communicate their feelings and to promote physical well being. A donut of Aventurine is the focal of this colourful bracelet. Dyed Malaysian Jade in Magenta and Emerald, small bronze Czech druk glass beads and smooth scalloped gold bead caps complete the design. Wire guardians, crimp covers, lobster claw clasp and extension chain are all gold plated. 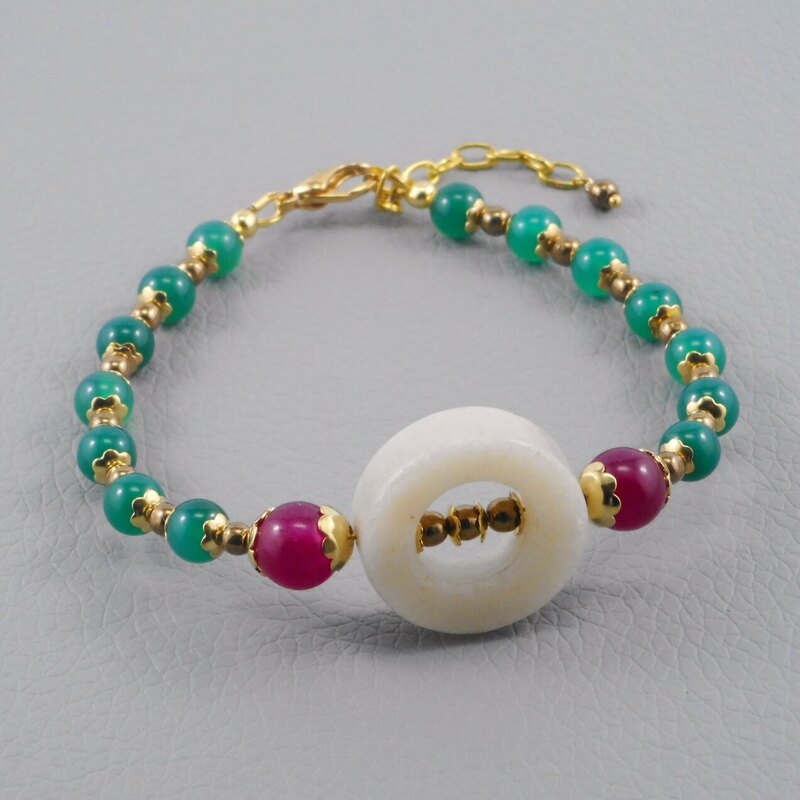 This delightful bracelet will fit a 16 - 20cm wrist.